Feedback on Tejano Trails sidewalk buttons and directional signs and to announce upcoming opportunities to participate with the Tejano Trails Steering Committee. Action Item: Approve the minutes from the March and April meeting. 6:25 Resignation of Susan Benz as Treasurer. 6:26 Resignation of Chris Kanipe as Secretary. 6:27 Resignation of Ken Johnson as Chair. Action Item: Discuss and take possible action electing Xavier Artot as Web Administrator. Action Item: Discuss and take possible action electing Jose Valera as Sector 8 Representative. Action Item: Discuss and take possible action electing Cecelia Russell as Treasurer. Action Item: Discuss and take possible action electing (TBD) as Secretary. Action Item: Discuss and take possible action electing (TBD) as Chair. Action Item: Discuss and take possible action regarding variance for solar panel installation. Action Item: Discuss and take possible action on re-zoning 901 Spence St. Renewal of OMV permit and discussion of modification of restrictions of OMV permit to allow for better more dates in the spring and fall. Action Item: Discuss and take possible action for OMV permit. Action Item: Discuss and take possible action for modified version of OMV permit. Action Item: Discuss and take possible action on property taxes. Discuss neighborhoods options with budget in a box. Action Item: Discuss and take possible action on budget in a box. 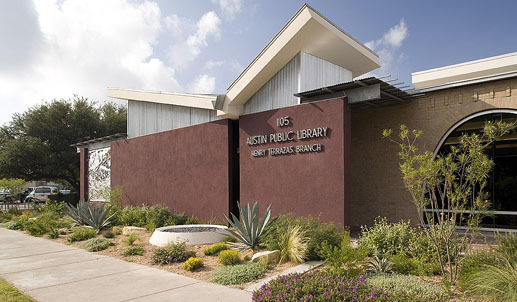 Council member Renteria is seeking applicants for City of Austin Commissions. Action Item: Discuss and take possible action on open commission seats. 8:55 Discuss the ECCNPT to abide by the Texas Open Meetings Act, Texas Public Information Act, and Robert’s Rules of Order. Action Item: Discuss and take possible action on the ECCNPT abiding by the Texas Open Meetings Act, Texas Public Information Act, and Robert’s Rules of Order. The purpose of this committee would be to compile a data base of community wide social services to be placed on the ECCNPT website. Action Item: Discuss and take possible action on establishing a Social Services Committee. A new bike lane is to be added to Comal Street and the City is looking for feedback. Action Item: Discuss and take possible action on bicycle route system. Discuss the vote from last December about the East Side Hotel. Action Item: Discuss and take possible action on East Side Hotel vote. Presentation of their opposition to the proposed natural gas plant. Action Item: Approve the minutes from the March meeting. 4. 6:25 106 and 108 Comal setback and impervious coverage variance. Action Item: Discuss and take possible action regarding the variance requests at 106 and 108 Comal St.
Action Item: Discuss and take possible action on small lot amnesty variance request. Travis Heights is looking to become a local historic district and is asking for our support. Action Item: Discuss and take possible action on support of Travis Heights local historic district. Central Heath Brackenridge Campus presentation. 11. 7:50 Sidewalk Fee-in-Lieu for 1704 Haskel St. Discuss possible sidewalk expenditure for the 900.00$ collected as a sidewalk fee-in-lieu for 1704 Haskel St.
Action Item: Discuss and take possible action on allocation of funds to sidewalks in the neighborhood. Action Item: Approve the minutes from the October and January meetings. Action Item: Discuss and take possible action on FOIA request. Update on RBJ improvements and development. Action Item: Discuss and take possible action on a SXSW late hours permit and a seasonally flexible OMV permit. 8:10 Taylor Wilson – 501 E Waller St. Presentation of proposed affordable mixed use project at Waller and 5th st.
Kirby Aull – Austin Digital Inclusion Initiative. Presentation and discussion of digital literacy. 8:30 November and December agendas not posted on the website prior to the meeting. Action Item: Discuss and take possible action regarding the agendas not been posted to the website prior to the November and December meetings. Action Item: Approve the minutes from the October and December meetings. Action Item: Discuss and take action to elect new officers. 6:45 Dennis McDaniel and Richard Kooris – 901 E 6th St.
Action Item: Discuss and take possible action on a variance request. Action Item: Discuss and take possible action on proposal. Action Item: Discuss and take possible action on sidewalk fee in lieu priorities. Action Item: Discuss and take possible action on mobile food venders and front yard parking. On Tuesday October 28th, El Buen Pastor Presbyterian Church is hosting a discussion of a proposed hotel development on Cesar Chavez from 7:00 pm to 8:30 pm. Brian Carrico, the project developer, will present his project with proposed site plan and answer questions. Everyone from the community is invited to come ask questions or to make comments. Action Item: Approve the minutes from the September meeting. Action Item: Discuss and take possible action for conditional use permit. Action Item: Discuss and take possible action regarding walkability study. Action Item: Discuss and take possible action regarding parking in the neighborhood. Action Item: Action to remove Al Moser as Business Representative. Action Item: Discuss and take action on all the nominations. 7:55 Supply the Secretary will all new member contact information. Action Item: Approve the minutes from the August meeting. Discuss a proposed trail that will run through the east up to northeast of Austin. Action Item: Discuss and take possible action on new hike and bike trail. Sector 2 Representative – ? Action Item: Discuss and take possible action on all the nominations. Discuss possible avenues to pursue for google fiber and a mobile library. Action Item: Approve the minutes from the July meeting. Discussion of Scoot Inn’s outdoor music venue permit. Action Item: Discuss and take possible action to regarding Scoot Inn’s Outdoor Music Venue Permit. Requesting a variance for Small Lot Amnesty and setbacks. Action Item: Discuss and take possible action regarding the variances requested for 205 Attayac Unit B. Discussion of Holly Shores Master Plan. Action Item: Discuss and take possible action regarding the Holly Shores Master Plan. Action Item: Discuss and take possible action regarding the 900-1000 block street parking permit.